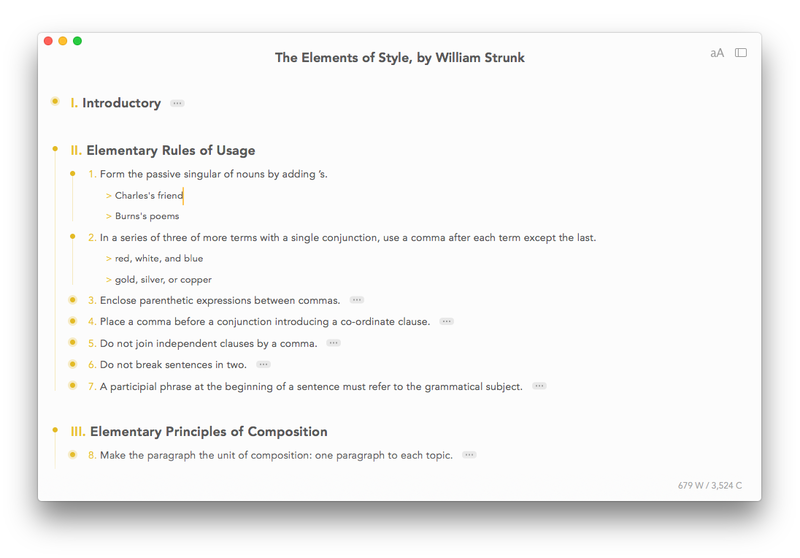 A powerful platform for writing and organizing notes, plans, todos. We think in outlines, that’s the way our brain works. Shape your thoughts in Outlinely and become productive. Your brain will thank you for it. 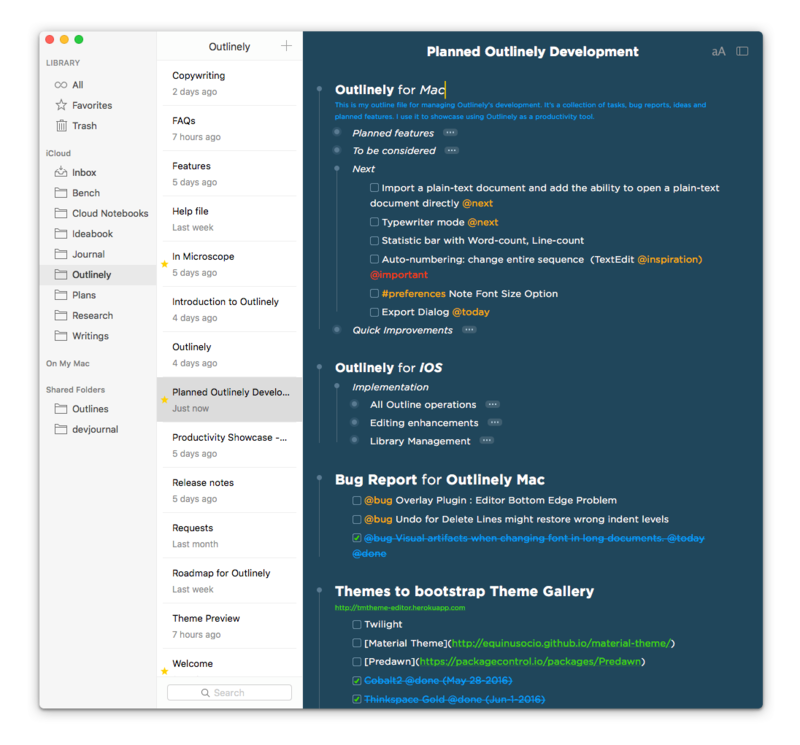 Outlinely’s elegant, minimalistic interface lets you focus on bringing out your ideas. With native apps for Mac, iPhone and iPad, you can access your outlines from anywhere when inspiration strikes. Work faster. Switching to the mouse can be a distraction. In Outlinely, you can do everything with only the keyboard. Struggling to keep track of everything? Outlinely helps you free your mind. This is by far one of the best note taking apps you can use for anything. Probably my favourite feature is the ability to change themes - I use the Sepia theme when reflecting, and I use the Dark theme for business. Overall you guys should be incredibly proud to have created such an amazing app that’s easy to use! Love it! Great Outlining … period. Simple and to the point with what it does, and how it does it. I have used OmniOutliner for 7 or 8 years now, strictly to do outlining. Loved the feature to collapse sections of the outline. Outlinely does that one thing I was looking for, and at a reasonable price. Does it have some predefined themes…yes. After 1 hour with this, I know I won’t be looking to OmniOutliner again. Elegant in its simplicity. This is everything I wanted it to be—exceptional productivity with no distracting bells and whistles. We won’t spam. You can unsubscribe with a single click at any time. Requires OS X El Capitan, macOS Sierra, High Sierra or Mojave.